What was the Soyuz program? 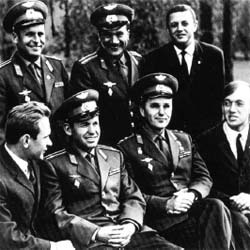 The Soyuz (Russian for “union”) program is the longest-running Soviet (and later Russian) space mission program to date. The program was originally intended for missions to the Moon. The head of the Soviet space program, Sergei Korolëv (1906–1966), designed a series of three Soyuz spacecraft for this purpose in the early 1960s. In 1964, however, the Soviets decided to use a more powerful Proton rocket for Moon flights. They scaled back the Soyuz program to a series of spacecraft to be used for Earth-orbiting missions.